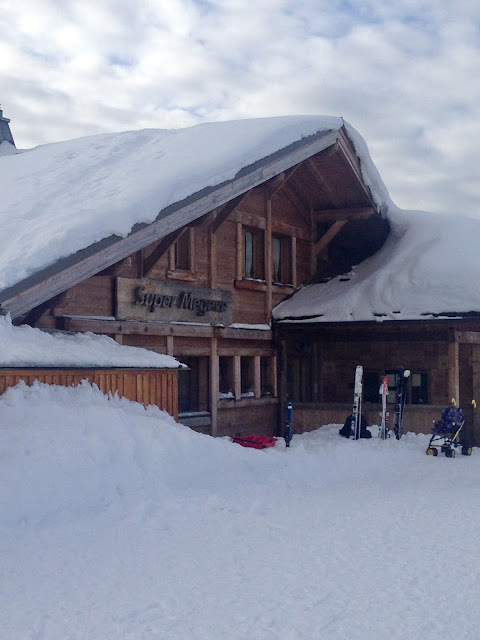 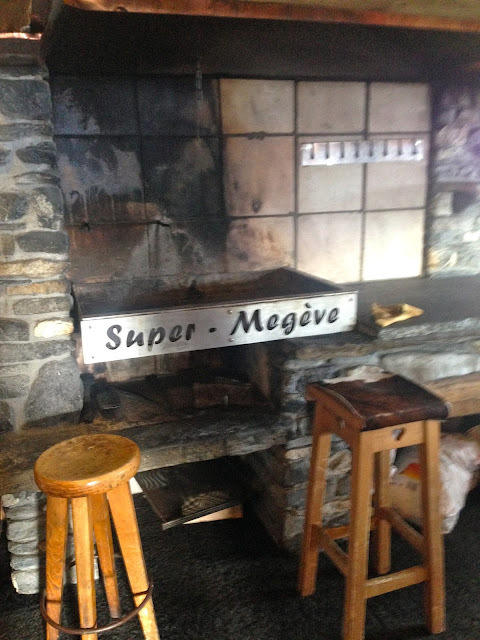 Whether you're a skier or not, you can easily access the Super Megeve (Rochebrune, 74120 Megève, France +33 4 50 21 22 05) restaurant at the top of the Rochebrune cable car in Megeve. 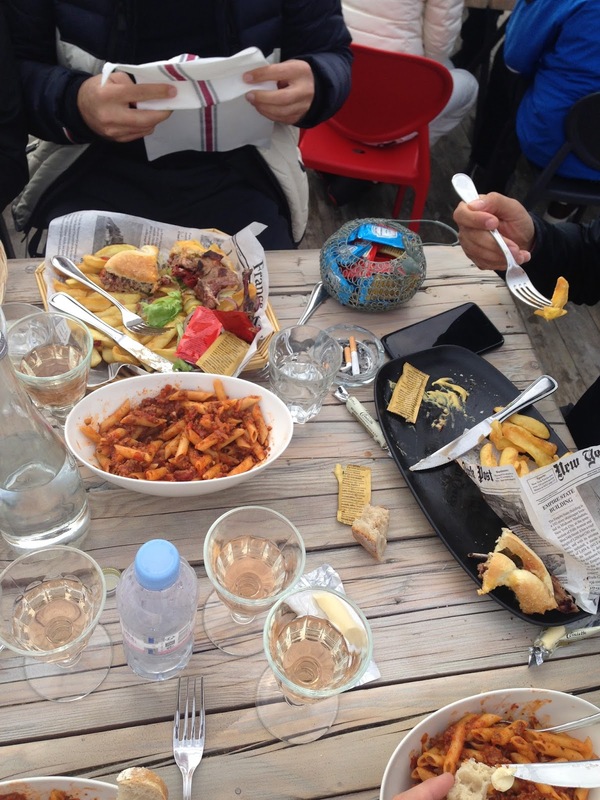 With outdoor and indoor seating, lunch is enjoyed with a view of Mont Blanc at an altitude of 6,600 feet! 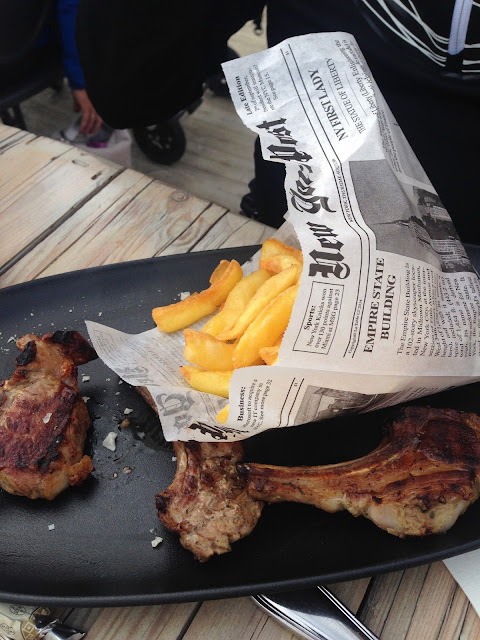 The highlight of this restaurant is their outdoor barbecue, so its highly advisable to order some meat. 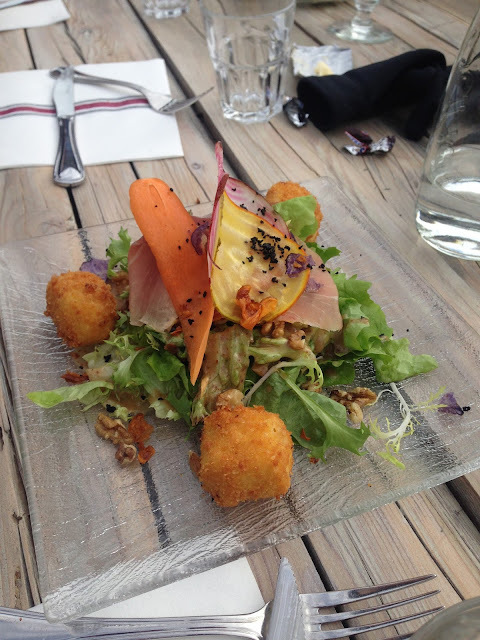 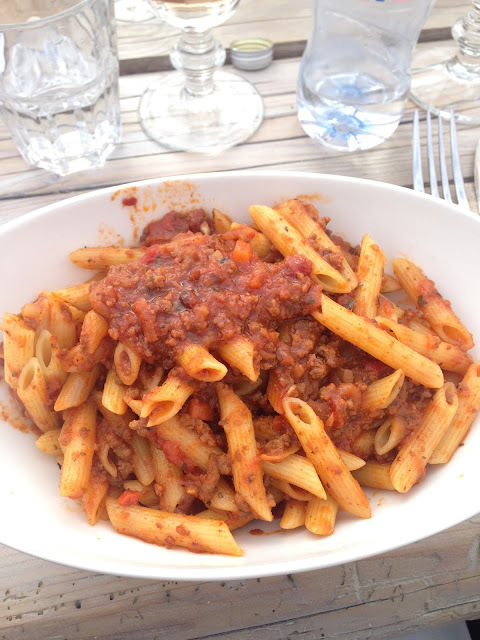 For non-meat eaters there's pasta and salads big enough to fuel you for the ski run back down the mountain to town. 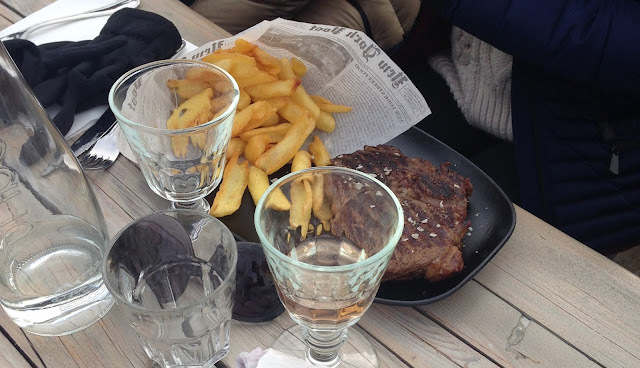 We had a table for twelve outside and enjoyed some hearty lamb chops, burgers, pasta bolognese, steaks, soups and salads. 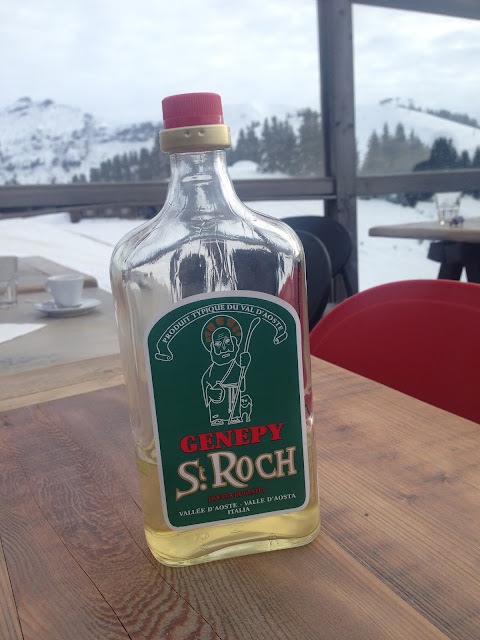 Coffee and dessert is always followed by a shot of Genepy, a special Italian herbal liqueur from the Valle d'Aosta region. Be warned though, a few shots of this will get you down the mountain at much faster speeds than you should probably be skiing! 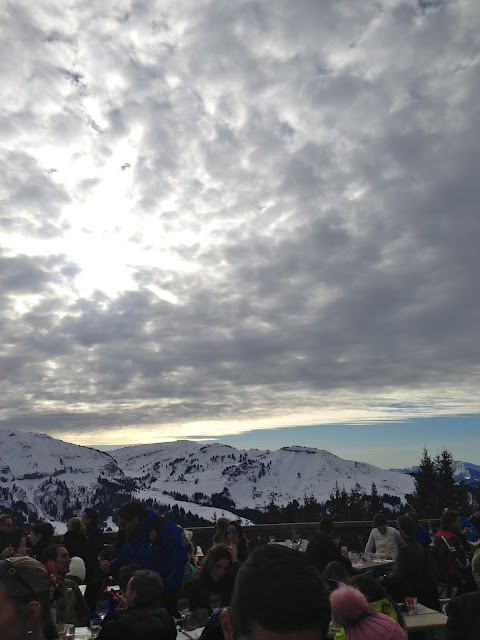 The views, especially on a sunny day, are truly spectacular; you feel as though you could reach up and touch the clouds. 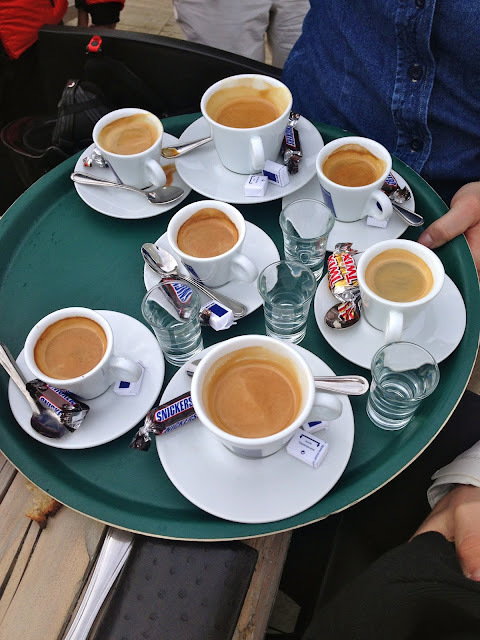 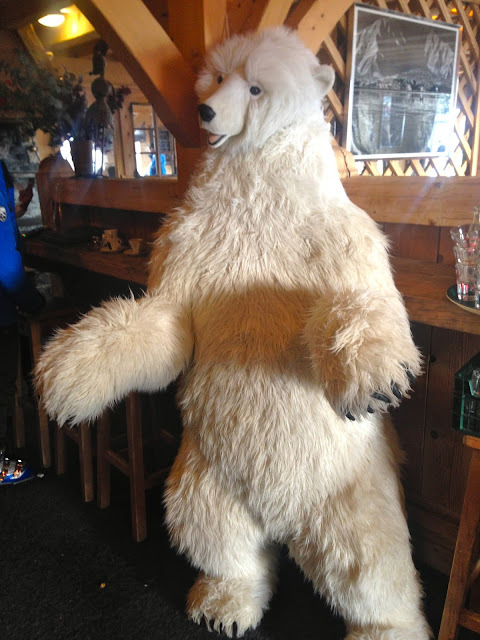 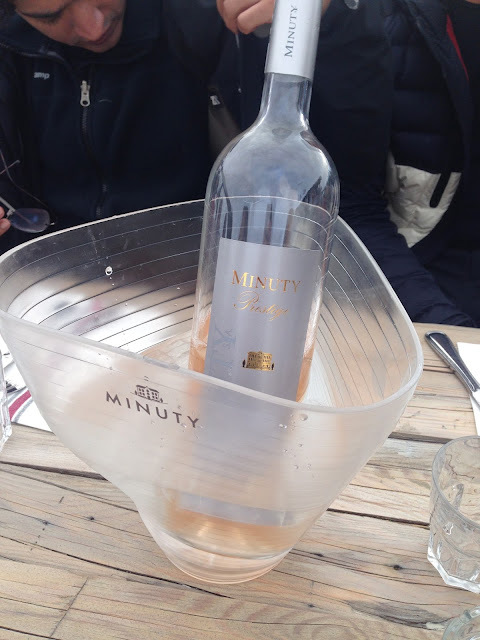 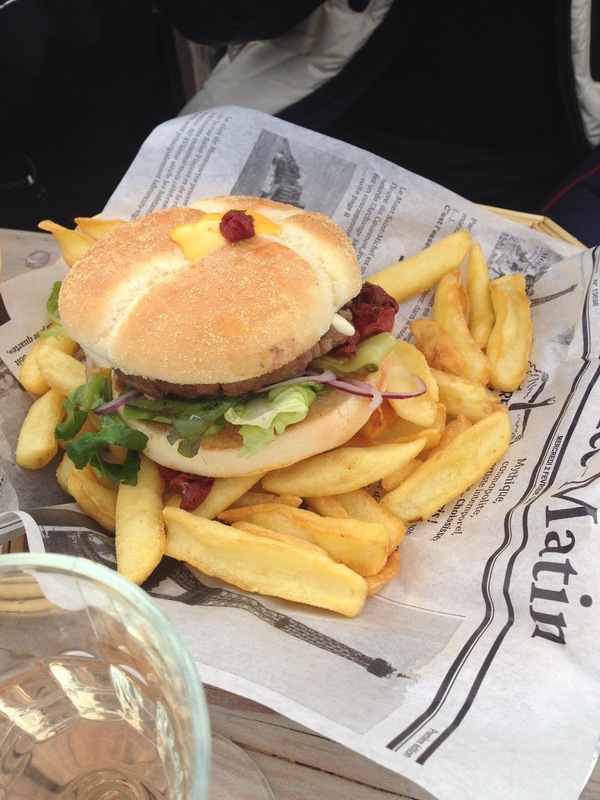 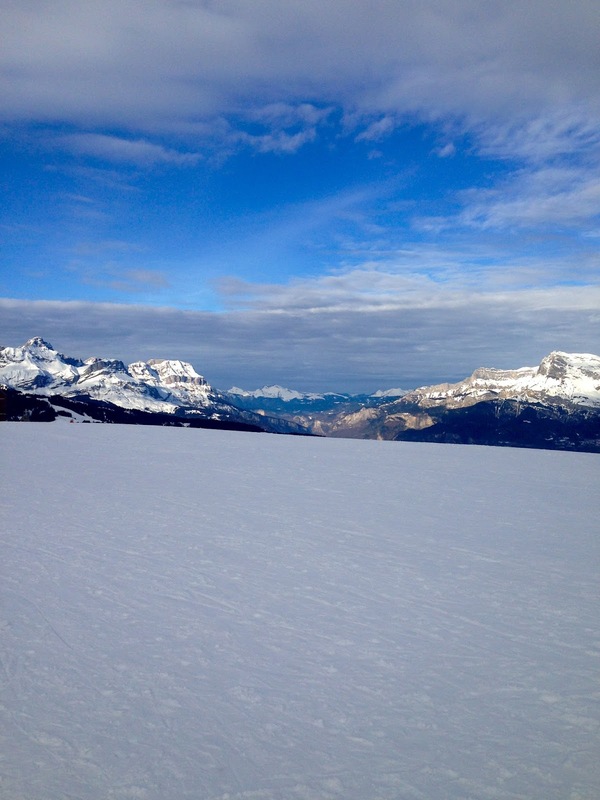 The Minuty is always a good basic option when skiing or partying in the South of France! I hope you had a lot of fun!